Jocelyn Davies is a children’s book editor and young adult author. 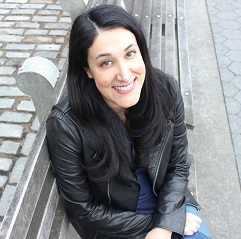 Over the course of her career, she has acquired, edited, and developed books for HarperCollins Children’s Books, Penguin Young Readers, Alloy Entertainment, and the Walt Disney Company. Her novels are: A Beautiful Dark, A Fractured Light, A Radiant Sky, and The Odds of Lightning. You can also find her short story, The Unlikely Likelihood of Falling in Love, in the short story anthology Meet Cute. In her free time, she enjoys cooking new recipes with her husband in their tiny Brooklyn kitchen, and brainstorming romantic comedy plots.